It’s not empty marketing speak when we say that LG commercial displays can draw customers into your store. Case in point: Luxury fashion brand Stella McCartney. McCartney’s work is world-renowned, and just last Saturday at the Royal Wedding we saw her standout creations with Oprah Winfrey in pale pink, Amal Clooney’s goldenrod-yellow look, and the lily-white evening reception gown draping Meghan, the new Duchess of Sussex. To make a splash for the Spring/Summer season, the fashion brand installed a unique digital mosaic window display in 11 stores across the US, Europe and Asia. 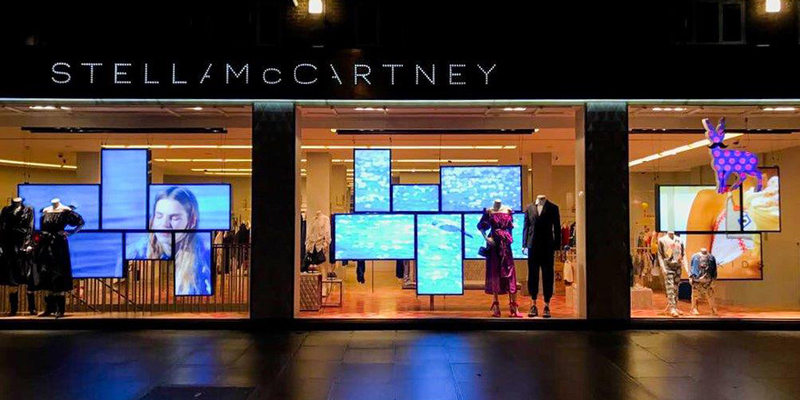 As Daniel Sait of Commercial Integrator Europe reports, “To capture the attention of customers before they enter the store, Stella McCartney, entrusted specialist integrator and digital content developers, Freehand, to deliver innovative digital signage displays from manufacturer, LG Electronics. Read the full story here and check out more case studies to see the real benefits that real businesses are reaping with LG displays.